YEREVAN, Armenia – The American University of Armenia (AUA)’s Zaven & Sonia Akian College of Science and Engineering is very proud to share that Haykaz Bagratyan, an alumnus of the Master of Science in Computer and Information Science program, has been admitted to Syracuse University in New York State. 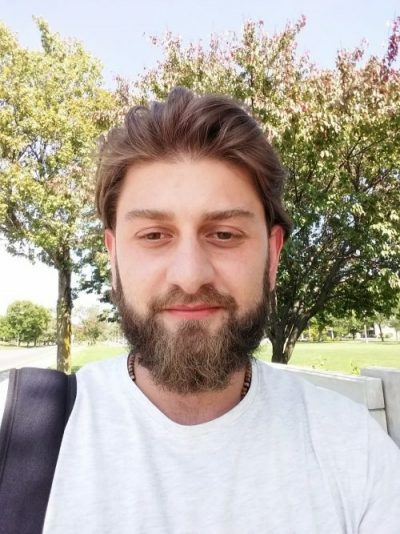 Haykaz, who is a Fulbright-Hovnanian grantee, is beginning his second Master of Science in information management this fall and will choose between three areas of study: project management, risk management, and IT consultation. During his time at AUA, Haykaz was actively involved in extracurriculars, working with several different startups which he now claims gave him “confidence, knowledge and skills that are helpful inside and outside of the classroom.” While he still doesn’t know what to expect from his new life in New York, Haykaz aims to work hard, try new things and continue being involved in innovative projects.